As President of KPC, Kevin brings over 30 years of industry experience to each project. He plays an active role in each project from pre-construction to project closeout. Due to Kevin’s personal commitment and involvement KPC, has grown and expanded while continuing to maintain the philosophy of product quality, service to clients, and responsibility to the community. In addition to the responsibilities of his business, Kevin also has served on the Executive Committee for the President’s Advisory Board for Varco-Pruden Buildings; he is a past President of the Newton County Chamber of Commerce; past President of the Covington Rotary Club and active member for over 20 years; past Board of Directors Member for the Association of General Contractors of Georgia, former board member of the First Nation Bank and former advisory Board Member to Bank of North Georgia. 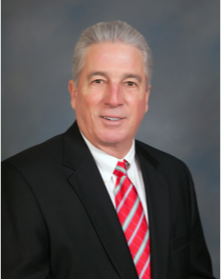 Kevin has also served as a board member of The Gatewood School and the Lake Oconee Area Development Authority. Kevin is a member of Athens First Baptist Church, and serves on numerous committees within the church.